People who study the Bible think Simon was called ‘Rock’ because he understood who Jesus really was. ‘You are the Messiah’ said Simon. Knowing that Jesus is the Messiah is one of the most important parts of being God’s people – in fact it’s like the rock that houses are built on. Knowing who Jesus is, is as important as the foundations of a tall building. Where might you find rocks, big rocks… small rocks… rough rocks… smooth rocks? Did you know that some types of rock (like chalk) are so soft you can write with them? Perhaps you already know that other types of rock are so tough and strong you can build houses on them. One day Jesus changed Simon’s name to ‘Rock’. Why do you think Jesus choose this name for his disciple? Show the picture of John the Baptist on page 286 of The Children’s Bible in 365 stories. A rock with the textbox stuck to it with sticky tape. It might work well if you play this game before reading the story then use the rock as a story illustration. You will need: a rock or a stone, masking tape and at least one marble per person. If you don’t have any marbles, pennies would work too. During the session stick a long strip of masking tape to the floor of your teaching space. If your rock is round-ish, stand with your feet just behind the tape and roll the rock so that it stops approximately two meters in front of you. If your rock is not the rolling type place it on the floor about two meters from the tape. To play the game the children need to take it in turns to stand just behind the tape and roll a marble towards the rock. When all the marbles have been rolled the person whose marble is closest to the rock is the winner. If you don’t have any marbles the children should carefully toss pennies towards the rock. The child whose penny lands closest to the rock is the winner. Father God we think about Andrew, so excited at meeting Jesus. We imagine him watching, listening and learning and then longing to tell others about what he had seen and heard. Father God help us to be like Andrew, eager to pass on the Good News about Jesus to the people around us. 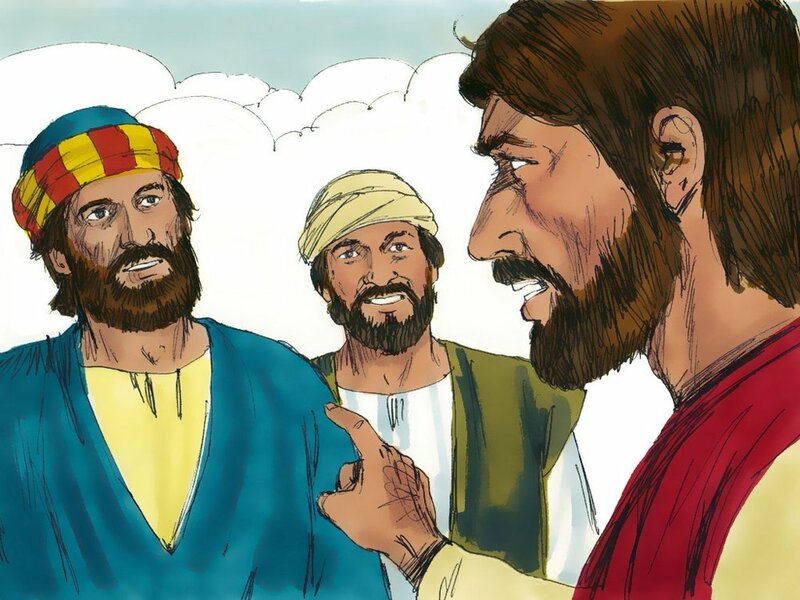 Father we also think about Simon, now called Peter, we remember that Jesus saw him as reliable and trustworthy. Thank you Father God that you know everything about us; you know what we are like now and what we will be like in the future. Father God help us to live the way you created us to live and be the people you created us to be. Amen.